RANGPUR: As tea cultivation expanding fast, an all-time record quantity of 84.67 lakh kg 'made- tea' worth Tk 204 crore was produced in 2018 in the ' Kartoa Valley' ecological zone comprising of five sub- Himalayan northern district. An all-time record quantity of 84.67-lakh kgs 'made-tea' worth Tk 204 crore was produced last year in the 'Kartoa Valley' ecological zone comprising of five sub-Himalayan northern districts. "The produced quantity of 84.67-lakh kg 'made-tea' in 2018 is higher by 55.64 percent than the output of 54.40-lakh kg in 2017 in the valley," said Senior Scientific Officer of Bangladesh Tea Board (BTB) at Panchagarh Dr Mohammad Shameem Al Mamun. The tea output will further increase this year as its cultivation is expanding in the 'Kartoa Valley' comprised of Panchagarh, Thakurgaon, Dinajpur, Nilphamari and Lalmonirhat districts bringing fortune to many farmers and creating jobs for the poor. The production of 54.40-lakh kg 'made-tea' in 2017 was again higher by 70 percent than the manufactured quantity of 32-lakh kg 'made-tea' in 2016 as the highly profitable tea farming continues increasing fast in the valley in recent years. "Earlier, 25.21-lakh kg 'made-tea' was manufactured in 2015 and 14.21-lakh kg in 2014 and 14.55-lakh kg in 2013 against only 1.61-lakh kg 'made-tea' in 2005 when commercial basis tea cultivation just began in the valley," Dr Shameem said. Prime Minister Sheikh Hasina launched tea cultivation on the plain lands of Panchagarh for the first time in 2000 on experimental basis considering the outstanding growth of tea plants in adjoining Jalpaiguri district on other side of the border. 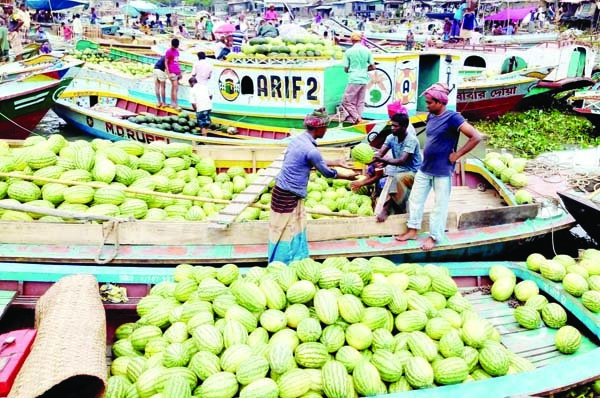 "After attaining preliminary success in tea cultivation, its commercial-basis farming on the `small-scale gardening-basis' began in 2005 in Panchagarh and soon started bringing better profits to the farmers inspiring them in expanding its cultivation," he said. Presently, tea is being cultivated on 7,645 acres of land (3,095 hectares) in Panchagarh, Thakurgaon, Dinajpur, Nilphamari and Lalmonirhat districts in the 'Kartoa Valley' of the northern Bangladesh. Tea is currently being cultivated in eight officially registered tea estates and vast plain lands of 967 registered farmers and around 4,000 small-scale farmers in these five northern districts. 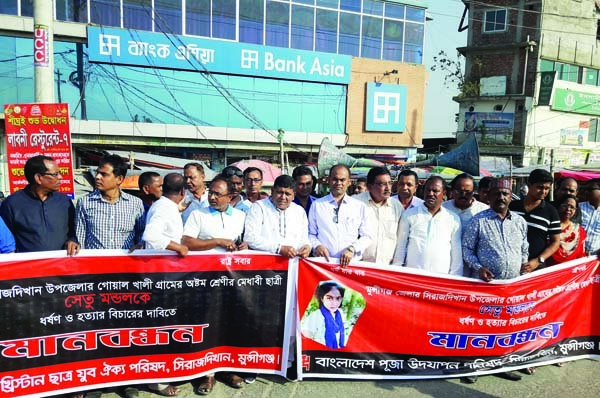 "Currently, 13 tea companies are processing tea after producing green tea leaves in their estates and gardens as well as purchasing the same from farmers to produce 'made-tea' in the valley for selling the produce at Chittagong Auction Market," Dr Shameem said. He said the BTB is implementing the 'Expansion of Small Holding Tea Cultivation in Northern Bangladesh Project' since 2015 at Taka 4.97 crore to expand tea farming by more 500 hectares of land within 2020 in different districts of the valley. 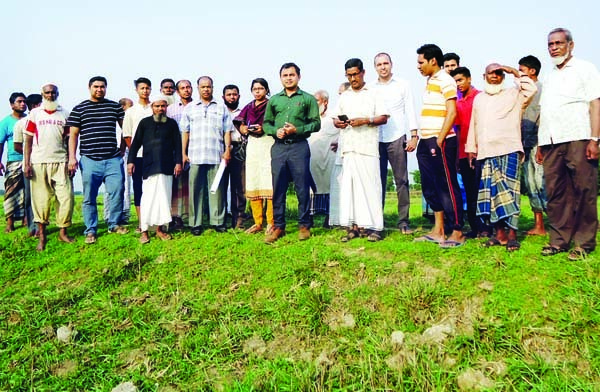 Talking to BSS, big tea farmer Matiar Rahman of village Sonapatila under Panchagarh Sadar upazila said he began cultivating tea on his five acres of plain lands as a small-scale tea grower for the first time in 2002. "I am cultivating tea on 50 acres of land now and selling green tea leaves to the tea processing companies," he said adding that tea farming has brought fortune to many farmers improving standard of living and creating huge jobs for tea-labourers. 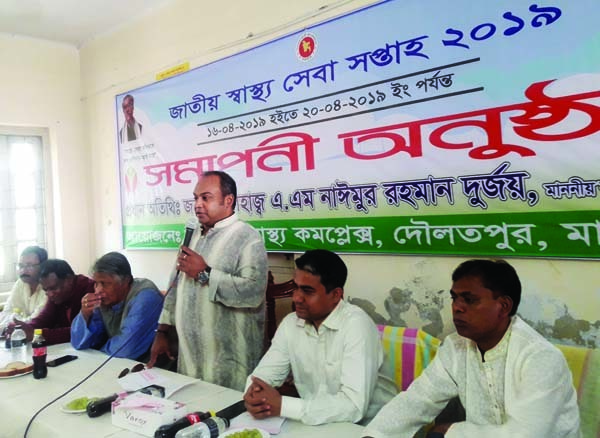 President of Panchagarh District Small Tea Garden Owners' Association Amirul Haque Khokan said tea sector has a brighter future in the region where some 10,000 people, including rural women, are employed in tea industry. Talking to the national news agency, tea-leave plucking female labourers Bulbuli, Safura, Mariyam, Nargis and Selina of Tentulia upazila said they are earning Taka 250 to 300 per a day as daily wages by plucking green tea leaves to lead better life.